It doesn’t matter if you’re running XP, Vista, 7, or 8, there are glaring weaknesses to Windows Explorer that we’ve all got to deal with. Fortunately, third-party developers have us covered (as always). If you’re turned away by Windows’ search indexing or the clunky feel of the Windows Explorer interface, you have other options. 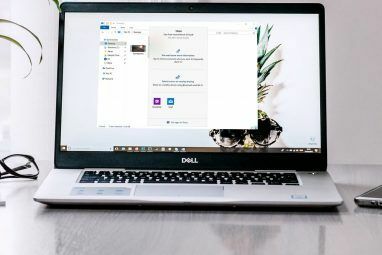 You’ve surely heard of alternatives such as Total Commander and FreeCommander The 5 Good Free Windows File Managers The 5 Good Free Windows File Managers Read More , and we’ve done several articles on them here at MakeUseOf. If you’re always sorting through your files or managing your Dropbox 4 Unique and Cool Ways to Use Dropbox 4 Unique and Cool Ways to Use Dropbox Read More , file management can be made incredibly easier if you look into something other than what Windows offers by default. In this article, I’d like to introduce you to one of the newest pieces of software that I’ve come across in this category. Just Manager is a huge solution to Windows file management packaged together in one small application. It works on every modern version of Windows, both 32 and 64-bit, and even comes available as a portable application. A lot of these alternative file managers are only available as a hard installation, and often even completely replace Windows Explorer as the default management system. This bothers me and I see it as completely unnecessary. With Just Manager, rather than having it forced upon you, you can simply launch the application whenever you’re ready to manage your files. The interface is clean and nothing entirely special, but exactly what you’d expect from a multi-pane manager like Just Manager. Above each pane are shortcuts to your connected drives and your network. You also get an immediate snapshot of the available disk space for the drive you’re currently in. More than just panes, which Just Manager can support up to 16 of, tabs are also a quality feature. By double-clicking in the blank space beside your tabs, a new tab will be opened that mimics the location of the tab before it. This effectively allows you to browse through multiple different folders on a single drive without opening several different panes. Font highlighting is also a very appreciated and interesting feature. This allows certain files and folders, such as hidden folders and executables in the screenshot above, to be set apart from other items in a pane by taking on a different font color. This really allows you to save time and see important items at just a glance when scrolling through a tab. The bar across the bottom of the interface gives easy access to buttons that offer file and folder manipulation options. These are prefixed by a hotkey, which allows them to be called by simple keyboard commands as well. Under the View menu, you can change the tab layout per pane. In the above screenshot, the left pane is using small icons and the right pane is using standard icons. The default option shows details. One feature that really impressed me, and surprised me to realize that I’ve yet to see before, is FTP support. With Just Manager, you can open an FTP session in a separate pane and essentially use Just Manager in the same way that you’d use a multi-pane FTP client such as FileZilla Master FTP File Transfers On All Of Your Sites With FileZilla Master FTP File Transfers On All Of Your Sites With FileZilla A large number of FTP clients of old had hiccups when it came to large file transfers. 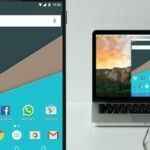 The apps experienced the usual timeouts that you would expect when the computer sits there for 15 to... Read More . This brings an entire new functionality to this file manager and allows you to completely replace another separate piece of software (if the basic FTP features it offers is enough for you). Network drives are completely supported in the same way. It takes a matter of seconds to map a network drive and configure it so that you can have it opened in a pane within Just Manager. Just Manger’s settings are extremely deep. The application is configurable in practically every way, and outlining all that is available in the configuration would require an article in itself. Shown in the View tab above, you’re able to hide or show certain panels or toolbars, change the number of rows and columns in the panel layout, and shift around practically every element of the interface. The Shortcuts tab shows an extensive list of operations that can be triggered by shortcuts (or hotkeys). Just Manager does an incredible job at ensuring that every action can be performed right at your fingertips. Just Manager is one of the least popular Windows file manager alternatives, but I can’t see why. It’s got all of the features that many others offer, plus more. It’s portable and free, too. I highly recommend that you give this application a try if you’re fed up with using Windows Explorer. Let us know what you think of Just Manager in the comments below. Explore more about: File Management, Portable App, Windows Explorer. I use Total Commander since, to quote Chrome, "from the beginning of time" and I'm stuck to it. For what I need, it has all the features, or is it that I'm used to it? This program does not apparently recognize flash drives, tablets and smartphones. Until these features are included, the program has little value. I prefer to use Ultraexplorer.I find it more versatile. "often even completely replace Windows Explorer as the default management system"
- seriously" Which ones? Because I've never read a review that states that, and no responses when I've inquired about just that. As to why I would find it necessary, it's because unless it replaces Explorer, Explorer continues running and defaulting and slowing the system down. Tried it but did not like it. I too would to fully replace windows explorer. It has so many little annoyances. Unfortunately, I have yet to find a replacement that does do the things that windows explorer does right...show me my files without a million configuration options. The only file manager I've liked is Xplorer2 (xplorer squared). I've tried several, and it's the only one that consistently works well for me.